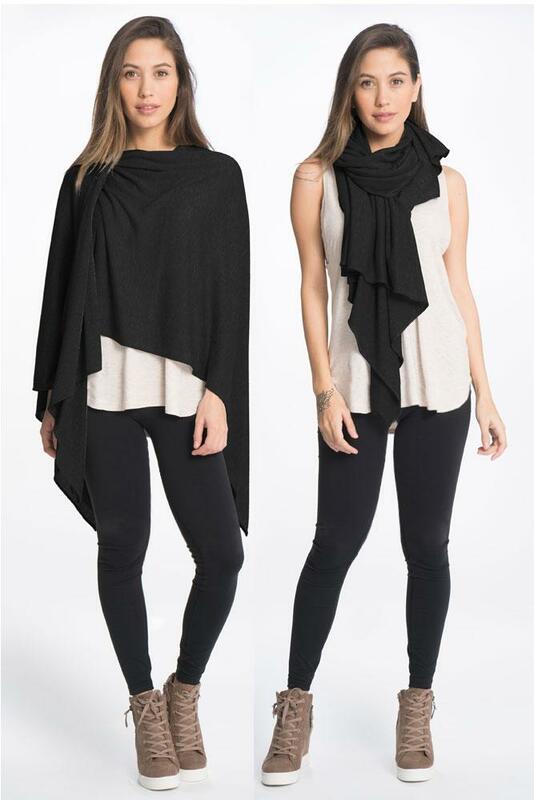 This is a sophisticated and sassy, throw over the shoulder, effortless style wrap. 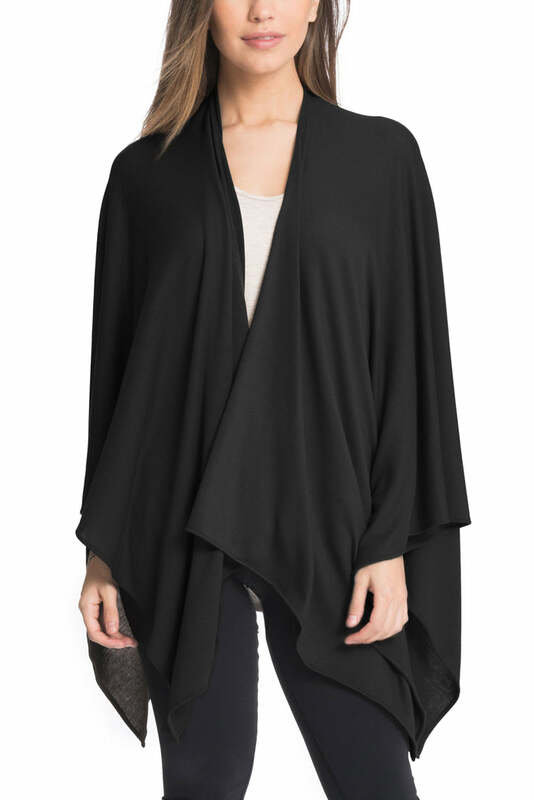 Expect years of use of the transitional features during maternity wear, as a nursing cover, and as a soft and beautiful scarf. Alternative how to wear view shown.